As is often the case after the Christmas break, we find ourselves inundated with enquiries for Live in and Daily carers. 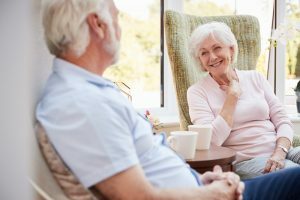 Perhaps this is because families have spent time together giving them the opportunity to discuss the health and welfare of their elderly relatives. So, we are keen to recruit more experienced Daily Carers in the regions around Tarporley, Kelsall, Tarvin, Waverton, Nantwich, Malpas and Whitchurch. Look out for our new banners around these areas in the coming weeks and months and pick up one of our flyers from the local shops. If you are a Live in Carer based in the North West, North Wales or Anglesey, please get in touch with us as we would like you to join our private care agency. “I used to work as a daily carer for another agency. It was very stressful as we did not always know where we were going on a week by week basis. The calls were too short and it was impossible to give the right amount of care and attention to our clients. Working with Bunbury we spend a minimum of 1 hour with our clients and time allotted to get to our next booking. We get our schedules a month in advance which gives a much better work/life balance.” The office staff are very organised and always available if we have problems. To ‘Like Us’ on Facebook please click here. Are you struggling to look after a loved one?